What makes Electric Skateboards Better than Non-Electric Skateboards? Electric skateboards are of much help for those who feel uncomfortable on a traditional skateboard. Many are not having enough skills to ride while maintaining the balance on a non-electric skateboard. Electric skateboards run by a motor attached to them controlled using a wireless remote. So an electric skateboarder is free of applying pressure to ride it. In comparison to the traditional skateboard, the Electric skateboard is much easier to ride for a newbie. One can learn to maintain balance and ride a skateboard faster as compared to a non-electric skate. Also for the youths, if they are trying skating for the first time, then they should first hands-on with an electric skate. Since after a bit practice of riding an e-skate can help one to start practicing and performing tricks. The main question arises that are electric skateboards worth it? So, the answer is yes if you are a newbie or someone who has lack of time and don’t want to get stuck in traffic jams then Yes it is worth buying for you guys. 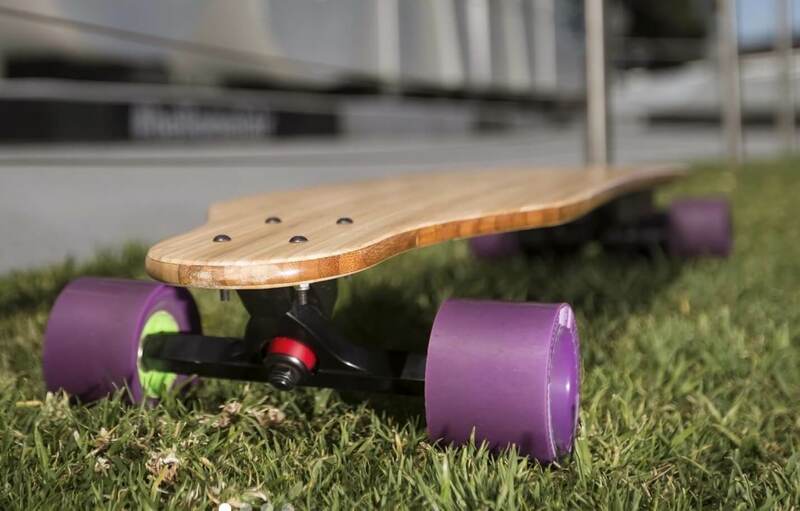 Electric skateboards as a package ensures the convenience of a skateboarder. You can take an e-skate with yourself anywhere either on a train or bus. You can charge it anywhere like a personal smartphone or a gadget. You need to push non-electric traditional skateboards to make them move. It is tough to skate on uphill areas; it needs more of your effort in a level that you might start hating to skate. It can be the reason why we can see maximum young age people are sliding on roads. Electric skateboard makes it effortless to ride skates anywhere. You can enjoy skating on uphill like the same as you feel on downhills. Thanks to the installed motor! Electric skates give you better riding experience in combination with a faster pace of skating. If you push a non-electric board harder to get the maximum speed even then, you can’t reach more than 20 miles per hour. Also for sure, you might need to rest after a single run. An electric skateboard can run at an average 30 miles per hour, and this time you can even match up to the drive speed of a car or bike on cities. Electric skateboard eliminates your work actually to move it. Now you are free to practice doing tricks and have complete fun on skates once you are having proper control over the speed of an e-skate. Electric skateboards can make it easy for you to go your workplace or nearby on it quickly. No more spending on fuel, No more traffic jams, No more road taxes, No more tension of Parking a vehicle! However, it might not be a better idea in every climate, but for short runs and smaller distance, it is a good choice. In many areas, it adds to the lifestyle of the ordinary people! An electric skateboard can make it possible for people of all age groups to be a professional skater easily. It’s complete thrill on riding e-skates with some precautions and traffic rules keeping in mind.